This is a song that was written within one week following the tragic event 911. I wrote it just as I felt it was downloaded to me from the heavenlies. My desire was to get it into the hands of every victim who lost a loved one. The dream still lives. You can listen to this song and enjoy. You also have an opportunity to purchase a copy or a few copies and/or give a donation to fulfill this dream. Click here to visit the page if you'd like to purchase or make a donation. Please feel free to leave your comments and when you do receive a copy tell us where you are. When you send to a loved one post where they are. Pain, disappointment, sorrow and loss will come to each of us. What do we do with it? How do we get through? your ability to get through it. Cast your care on Him for He cares for you. He's waiting too help you do whatever it is that you need to do. You can go to him and talk to Him like a Father, because His is. He is your Daddy (Abba) Father. Rest in Him and tell Him all about it and then listen. Yes, draw ever so closely to Him and listen. And remember, "You don't weep alone." I shall never forget this day. My heart ached and tears flowed continually down my face. Many questions entered my mind. What a day of pain and maybe some confusion and yes anger by many. Where was God? This was a question communicated by many I'm sure. Does He care? Why? Why? Why? I received a download of the song "You don't weep alone" on that day. people still need to hear this song. I will list the lyrics for your reading. "A message for the world from the heart of Father God"
Today marks the day of dreams come true. 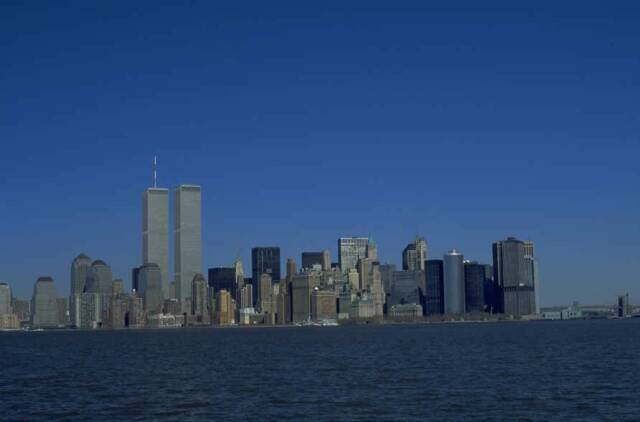 the tragic event on September 11, 2001. My dream then was that it would be heard across the world. in the way of our diligence in pursuing our dreams. "Confession of Robin Tramble aka Empowerment Diva"
some tracks for another power song soon to be released "Set time." My family was proud and we felt a sense of destiny and dreams alive. some of those who lost loved ones as a result. September 11 it will be heard across the world! life "Spirit, Soul and Body." Click here to claim your gifts today. Robin Tramble is CEO of Robin Tramble International a company developed to empower women across the world to discover their authentic self, get unstuck and live their best empowered life by nurturing their "Spirit, Soul and Body."